The ancient Celts were a branch of the Indo-Europeans, an ethnico-linguistic group that also included Germanic, Slavic, Greek and Indo-Iranian people. From their homeland in the Pontic-Caspian Steppes, the Proto-Indo-Europeans went to conquer most of Europe, Central Asia and South Asia from 4000 BCE onwards thanks to the advent of the Bronze Age in the North Caucasus. => See the History of the Indo-Europeans for more details. Proto-Celtic people arrived from the Balkans to Central Europe around 2500 BCE. Equipped with horses and superior bronze weapons, the Celts quickly conquered Western Europe, from Iberia to the British Isles. Classical Celtic culture emerged in central Europe around modern Austria, Bavaria and Switzerland. The earliest major Celtic settlement, dating from 1200 BCE, was found in Hallstatt, Upper Austria. There were some minor regional differences between Celtic people. For example, houses in Britain and Ireland were typically round, while those in Gaul were rectangular. The term "Celt" comes from Greek Keltoi or Galatae (Galatian), and Latin Celtae or Galli (Gaul). It is not known how they called themselves, but it is likely to have been a word in between those, maybe resembling the modern word "Gael". Though the Celts did not have their own writing system, Celtic-language inscriptions in Latin or Greek alphabets have been found on Celtic sites. Contrarily to popular beliefs, Celtic languages were still spoken after the Roman conquest. Saint Jerome (347-420) notes that the language of the Anatolian Galatians in his day was still very similar to the language of the Treveri (from the region of Trier and the border of Germany and Luxembourg). Celtic languages progressively disappeared during the Middle Ages. They only survived in Brittany, Corwall, Wales, Scotland, Ireland, and for a time also in Galacia (north-western Spain). Today, only a minority of people can still speak Celtic/Gaelic languages, and they are mostly confined to Wales, Brittany and western Ireland. Genetic studies determined that most of the ancient Celtic men belonged to the Y-DNA haplogroup R1b-S116 and its subclades. Two Early Bronze Age migrations brought the L21 subclade to north-west France and the British Isles, and the DF27 subclade to south-west France and Iberia. The third major Celtic subclade is S28 (aka U152), which is associated with the expansion of the Hallstatt and La Tène Celts, as well as with Italic tribes. Celtic people are believed to have spread the genes for red hair. => See the Origins and history of red hair for more details. This map represents the paternal lineages (Y-chromosomal DNA) associated with the spread of Proto-Italo-Celtic people from Central to Western Europe in the Bronze Age, starting circa 4,500 years ago. The Celtic lineages are the S116 (aka P312) branch of the Indo-European Haplogroup R1b minus the Greco-Etruscan R1b-L23, the Germanic R1b-U106 and R1b-L238, and the Proto-Celto-Germanic L11, L51 and L150. S116 includes subclades associated with non-IE languages such as Basque, and the ancient Gascon and Iberian languages. Since it is unclear exactly when and where Celtic languages developed and whether some Proto-Celtic speakers might have adopted indigenous languages in the land they settled (especially in Gascony and Mediterranean Iberia), all lineages were included for the purpose of this map, giving priority to Y-DNA over languages. The Celts actively traded with the Mediterranean world, exchanging notably their iron tools and weapons for wine and pottery. They also imported amber from the Baltic to resell to the Romans and Greeks. The Celts preempted the Romans in their construction of a road network across the European continent. The Celtic world was very decentralised compared to the Roman one, but at least a dozen Celtic towns possessed high stone walls rivalling those of Rome at the time. The longest were 5km long. 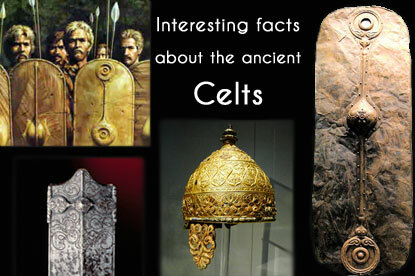 Recent studies have shown that the Celts were more advanced than the Romans in some scientific and economic aspects. Pre-Roman Celtic calendars were much more accurate than the Roman one. In fact, they were possibly more accurate than the Gregorian calendar in use nowadays. Each Galatian tribe was organised in four septs (clans), each ruled by a tetrach (chief), assisted by a judge, a general and two deputy generals. Each sept sent 25 senators to a central shrine called Drunemeton. The Celts were immensely rich. We now know that Julius Caesar's main reason to conquer Gaul was to lay hands on Celtic gold. Over 400 Celtic gold mines were found in France alone. The Romans had little gold on their home territory, so the conquest of Gaul was a tremendous boost to their power. The Celtic nobility were also known to be clean shaven with well trimmed hair following the fashion of the time. Tweezers were also found on archeological sites. Ancient Celtic society gave much more freedom and power to women than the Greeks and Romans did. Greco-Roman housewives were prohibited to do business and mostly sequestrated in their home under the supervision of male family members. Celtic women could sometimes become powerful tribe leaders, and were also known to go to war. The Celts invented the chainmail (around 300 BCE) and the helmets later used by Roman legionaries. Celtic swords and shields were at least as good as the Roman's. The decoration of the Celtic weapons, chariots and artifacts was in many ways superior to those of many Mediterranean cultures. Gauls at the time of Julius Caesar were described as wearing shiny, gold-like armours and swords. The Celts' early development of prime iron weapons and armoury gave them a military advantage over the neighbours. It permitted them to conquer and subdue most of Europe for many centuries. The Celts had a reputation of fearsome barbarians among the Greeks and Romans. Around 400 BCE, they seized the territory that lay between the Appeninne mountains and the Alps (i.e. northern Italy), then went on to plunder Rome in 390 BCE. Even Alexander the Great made sure of avoiding war with the Celts, eagerly signing a peace treaty with them in 335 BCE, before embarking on his conquest of Persia. After his death, the Celts became a threat for the Greeks again. Lured by the wealth accumulated in Greek temples by Alexander, the Galatian Celts invaded Macedonia in 281 BCE and sacked Delphi in 279 BCE. Their defeat against the Romans was mainly due to the fact that they were disunited against the Roman enemy, and victims of internal tribal struggles. It is estimated that Julius Caesar massacred 1 out of 10 million of Celts in Gaul, and put another million into slavery. In modern terms, this would be called a genocide. Like the Greeks, Romans, Germans and Hindus, the Celts were polytheists, and divinities varied from region to region, with a few major gods (like Lugh) recognised everywhere. Like the Romans, the Celts did not hesitate to venerate foreign gods as well. Druids were not only priests, diviners and astronomers, they were also judges, mediators, and political advisers who played an important role in declarations of war or peace. It took about 20 years of formation to become a Druid. Like the Christian clergy in the Middle Ages, Druids were usually from noble extraction, and trained from boyhood. Druidism might have originated in Britain. Nevertheless, Druids held their great annual assembly in the territory of the Carnutes, in central Gaul. Oaks were of primordial importance in Celtic religion. Druids ritually cut mistletoe off oak trees. The word "Druid" is related to the Celtic term for oak, and the gathering place for Galatian druids was called Drunemeton, literally "oak sanctuary". The Celts practised ritual human sacrifice to the gods, typically near water (lake, river, spring) and/or in forest groves. Victims were most often war prisoners or criminals. Druids being both judges and priests, it was a way of combining judicial or military executions with the honouring of the gods. The Celts didn't believe in heaven or hell, but believed in automatic reincarnation on Earth, regardless of one's deeds in life. Greek writers recall that, when meeting Alexander the Great, the Celts boasted that they feared nothing unless it were that Heavens might fall on them. Celtic warriors decapitated the defeated after a battle, took the heads back home as trophies, and exposed the headless bodies hanging on wooden frames. Sometimes, they replaced humans by huge amphoras of wine, and simulated the decapitation by cutting off the top of the amphora with a sword. The spilling wine would represent the blood. One of the most prominent Celtic deity in Gaul and Britain was Lug(us) (or Lugh in Irish mythology), whose great shrine was at Lugdunum (modern Lyon). Patron of trade and commerce, protector of travellers, and the inventor of all the arts, Lug's attributes identify him as the equivalent of the Roman god Mercury or the Greek god Hermes. Lug's feast was celebrated on 1st August. His symbol is the crow. Greco-Roman writers typically tell horrified accounts of the barbarous Celtic practice of human and animal sacrifice. Nevertheless, both Greeks and Romans sacrificed animals to the gods, and sometimes even humans (as did king Agamemnon with his own daughter). The Romans also famously organised games in which human beings fought each others in arenas to death for the pleasure of spectators. Furthermore, the Romans crucified political opponents and had prisoners killed or eaten alive by wild beasts in arenas. Overall, Celtic religious sacrifices were certainly less cruel and barbaric than what the Romans did. The Celts didn't put water into their wine, which was seen as a barbaric practice by the Greeks and the Romans. The Celtic way is the one that prevailed in modern times though, so it may not be that barbaric after all. Place names are listed by region, roughly from north to south. A Cisalpine branch of the above-mentioned Veneti tribe gave their name to Venice and the Veneto region in Italy. The Italian cities of Belluno, Bergamo, Bologna, Brescia, Brianza, Genova and Milano all have Celtic roots. In Germany Trier (Trèves in French) was named after the Treveri tribe. The German cities or towns of Ansbach, Bonn, Boppard, Düren, Kempten, Mainz, Remagen and Tübingen all have a Celtic etymology. A few Belgian towns are named after Belgic tribes, such as Tongeren (Tongres) named after the Tungri, Menen named after the Menapi, or Virton named after the Viromandui. The name of the villages of Avendoren (Tienen) and Avernas (Hannut) may derive from the Eburones tribe. Additionally, the Condroz and Famenne regions of Wallonia owe their name to the Belgic Condrusi and Paemani tribes. The Swiss towns/cities of Solothurn, Thun, Winterthur, Yverdon-les-Bains and Zürich have Celtic etymologies, as do Bregenz and Vienna in Austria. The name 'Portugal' comes Latin Portus Cale (Port of Cale). Cale or Cailleah was the mother goddess of the Celtic people. Many Portuguese towns anc cities have Celtic names including Beira, Braga, Bragança, Coimbra, Évora, as well as the ancient Roman cities of Conímbriga and Lacobriga. The regions of Galicia in northwest Spain, Galicia in central-eastern Europe (straddling between Poland and Ukraine), as well as the city and county of Galați in Romania all derive their name from the Galatians. Many European rivers have Celtic names. The Celtic word Danu, meaning "to flow", is the root of some of the longest European rivers, like the Danube, Don, Dnieper and Dniester.